Of course net profit and cost of goods sold expense are the two most critical components of an income statement, or at least they're what people will look at first. But an income statement is truly the sum of its parts, and they all need to be considered carefully, consistently and accurately. In reporting depreciation expense, a business can use the reducing balance method and load most of the expense over the first few years, or a straight-line method and spread the expense evenly over the years. Depreciation is a big expense for some businesses and the method of reporting is especially critical for them. While some lines of an income statement depend on estimates or forecasts, the interest expense line is a basic entry that comes from the bank statements or the loan activity statement. Other expenses within the Profit and Loss Statement include Salaries and Wages, Office Expenses and Travel Expenses. All of these expenses are normal expenses that come after Gross Profit and before Net Profit. It's incumbent on managers and business owners to be involved in the decisions about which accounting methods are used to measure profit and how those methods are actually implemented. A manager can be required to answer questions about the company's financial reports on many occasions. It's therefore critical that any officer or manager in a company be thoroughly familiar with how the company's financial statements are prepared. Accounting methods and how they're implemented vary from business to business, so get professional assistance. The first and most important part of an income statement is the line reporting sales revenue. Businesses need to be consistent from year to year regarding when they record sales. For some business, the timing of recording sales revenue is a major problem, especially when the final acceptance by the customer depends on performance tests or other conditions that have to be satisfied. For example, when does an ad agency report the sales revenue for a campaign it's prepared for its client? When the work is completed and sent to the client for approval? When the client approves it? When the ads appear in the media? Or when the billing is complete? These are issues a company must decide on for reporting sales revenue, and they must be consistent each year, and the timing of reporting should be noted on the financial statement. The next line in an income statement is the cost of goods sold expense. There are three methods of reporting cost of goods sold expense. One is called "first in-first out" (FIFO); another is the "last in-last out" (LIFO) method and the last is the average cost method. Cost of goods sold expense is a huge item in an income statement and how it's reported can make a substantial impact on the reported bottom line. Other items in an income statement include inventory write-downs. A business should regularly inspect its inventory carefully to determine any losses due to theft, damage and deterioration. Bad debts are also an important component of the income statement. Bad debts are those owed to a business by customers who bought on credit (accounts receivable) but are not going to be paid. Again the timing of when bad debts are reported is crucial. Do you report it before or after any collection efforts are exhausted? Sandra Baptist was interviewed on Observer Radio’s Marketplace on January 3rd 2015, where she discussed how entrepreneurs can kick off their business year right by creating new business habits. She also provided her 2015 Business Checklist with 5 tips to get small business owners started or starting over for the new year. Download the checklist below, enjoy the audio and please share with your colleagues. A sole proprietorship is the business or an individual who has decided not to carry his business as a separate legal entity, such as a corporation, partnership or limited liability company. This kind of business is not a separate entity. Any time a person regularly provides services for a fee, sells things or engages in any business activity whose primary purpose is to make a profit, that person is a sole proprietor. If they carry on business activity to make profit or income, you still need to submit your income tax returns with your annual individual income tax return to the Inland Revenue Department (IRD). As the sole proprietor of a business, you have unlimited liability, meaning that if your business can't pay all it liabilities, the creditors to whom your business owes money can come after your personal assets, including your house. Many part-time entrepreneurs may not know this, but it's an enormous financial risk. If they are sued or can't pay their bills, they are personally liable for the business's liabilities. A sole proprietorship has no other owners to prepare financial statements for, but the proprietor should still prepare these statements to know how his business is doing. Banks usually require financial statements from sole proprietors who apply for loans. A partnership needs to maintain a separate capital or ownership account for each partners. The total profit of the firm is allocated into these capital accounts, as spelled out in the partnership agreement. Although sole proprietors don't have separate invested capital from retained earnings like corporations do, they still need to keep these two separate accounts for owners' equity - not only to track the business, but for the benefit of any future buyers of the business. Time to Plan for 2015! 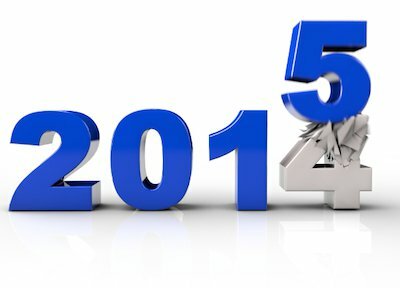 It’s about 60 days left until 2015. It’s time to reflect on 2014 and start planning for next year. If you had a fabulous, profitable year: Congratulations and keep doing what you’ve been doing. Only expand on that to do more, better, faster. If you want things to be different: more clients, more customers, more money in your pocket, look back on 2014 and ask yourself: What should you keep? What should you change? How can you serve more people? How can you do things better? What additional services and products can you add? What should you drop? Look out for your 2015 planning tips coming soon!